Zipping along on Norway’s Riksveg (route) 655, it was a bit of a shock when the road abruptly came to an end at the ferry port of Leknes. Okay, “zipping” is a relative term—it’s difficult to drive more than about 30 miles per hour on roads that are curvy, hilly, and slightly more than a single lane wide. 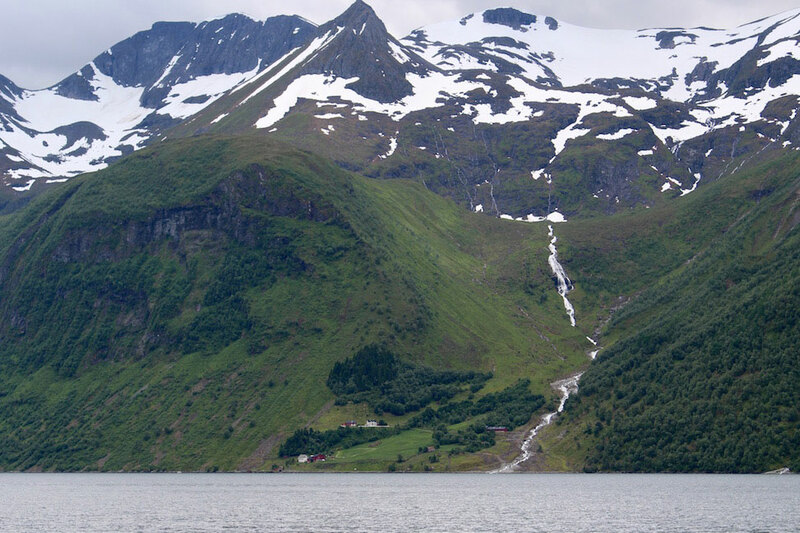 We had come to Norway’s Fjordland region to experience the solitary beauty of stark mountains cleaved by deep waters. 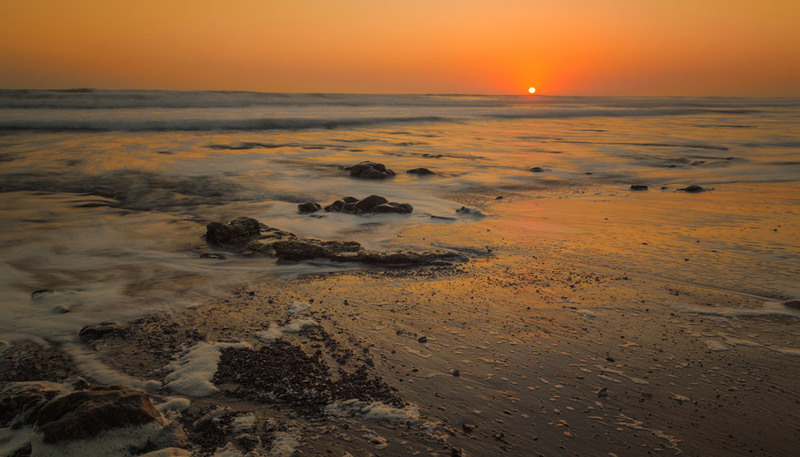 Although millions visit this part of the country annually by cruise ship, we prefer road trips—getting off the beaten path and travelling at our own pace. And now we were at the end of one of those rarely-beaten paths, the pavement stopping at a black- and white-striped gate, with those famed deep waters of a fjord just beyond. Not to worry though, in a country where land and water live side-by-side, the ferries are an integral part of the national road system. Riksveg 655 continued, eventually. All we had to do was wait for the next ferry. It was coming in just . . . 2 hours? There was a small hut, and a few houses in the distance, but that was it. No shops, no café, not even a battered old coffee machine. 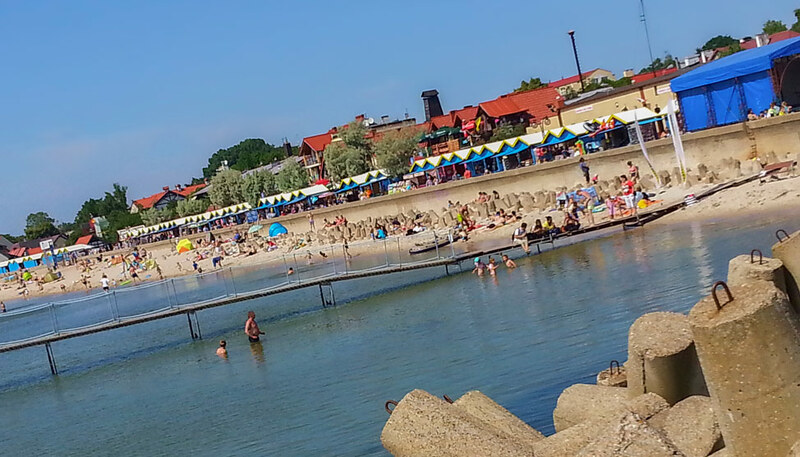 Well, we had wanted to get away from the busy tourist areas . . . In a country where land and water live side-by-side, the ferries are an integral part of the national road system. It had taken us a little longer than expected to find solitude in rural Norway. The country’s fjords are hardly over-populated, but like any relatively remote area, it doesn’t take many people to make it feel crowded. We began the day with a ferry up Geirangerfjord, a stunning waterway that is the poster child for many Norwegian cruises. The scenery was magnificent, but the atmosphere wasn’t quite what we were seeking. 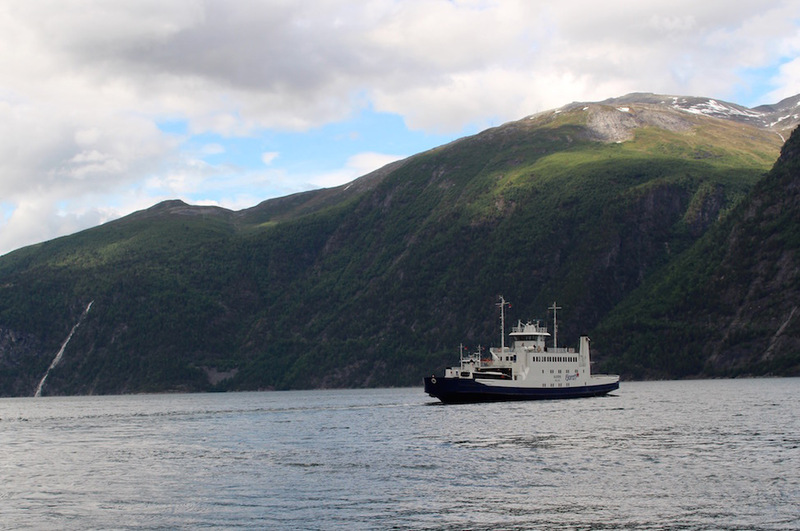 Three cruise ships were anchored off the miniscule village of Geiranger, and many of their passengers were taking a round-trip ferry up the fjord as part of a day excursion. We were in the minority—along with a cluster of delivery vans in the hold—using this largely walk-on passenger ferry for transit. We stood on the deck snapping the same photos as everyone else while the pre-recorded narration described the soaring bluffs and waterfalls in four different languages. Our red Volvo rental car sat huddled in the hold; somehow we just knew that it, like us, was itching to burst free and strike out on its own. 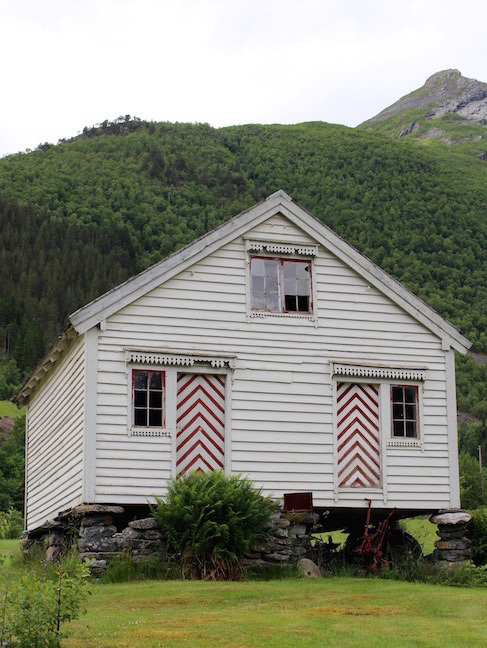 Eager to hit the open road, upon debarking we opted to bypass the town of Hellesylt—charming though it was—to get a bit farther afield and into a quieter slice of Norway. Now we were cookin’—a road trip how we liked it: wide open roads, soaring peaks, alpine lakes, and nary another car (or person) in sight. This was the Norway we had come to see. Despite our freewheeling mindset, the pace wasn’t grueling. 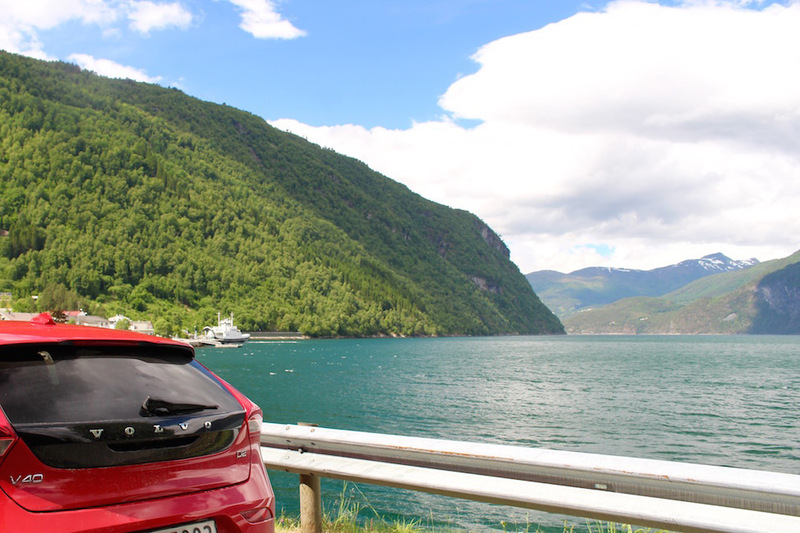 We only had about 25 miles to cover until we reached the aforementioned ferry port of Leknes; time and distance take on different proportions when narrow, twisting roads are interspersed with those deep fjords. 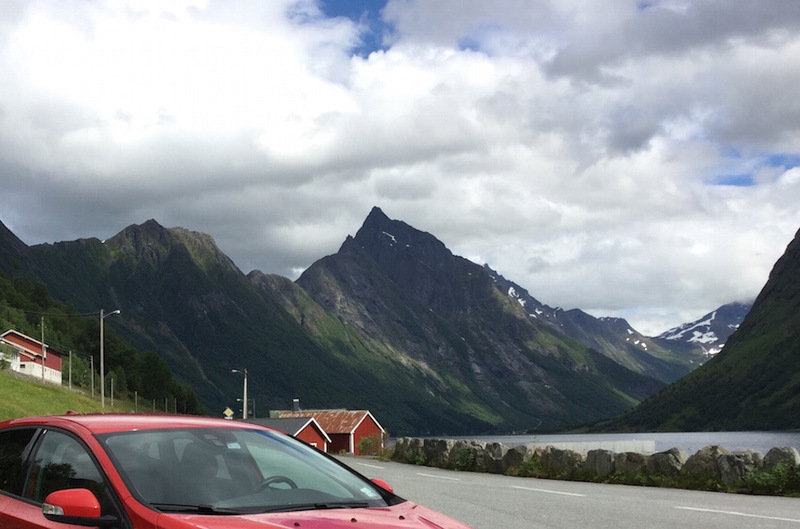 It’s the sort of trip where there’s something breathtaking to see at every turn in the road, so we stopped frequently to ogle the landscape, using our red car as a perfect counterpoint to the craggy peaks and waterfalls forming nature’s backdrop that we tried to capture on film. This was the Norway we had come to see. Though perhaps we should have paid more attention to the ferry timetables. Then we’d have known the Leknes-Sæbø ferry, a comparatively small craft that carried only about 10 cars, ran infrequently. We had arrived at the terminal, i.e. that end-of-the-road-with-a-gate, 10 minutes after the prior departure. 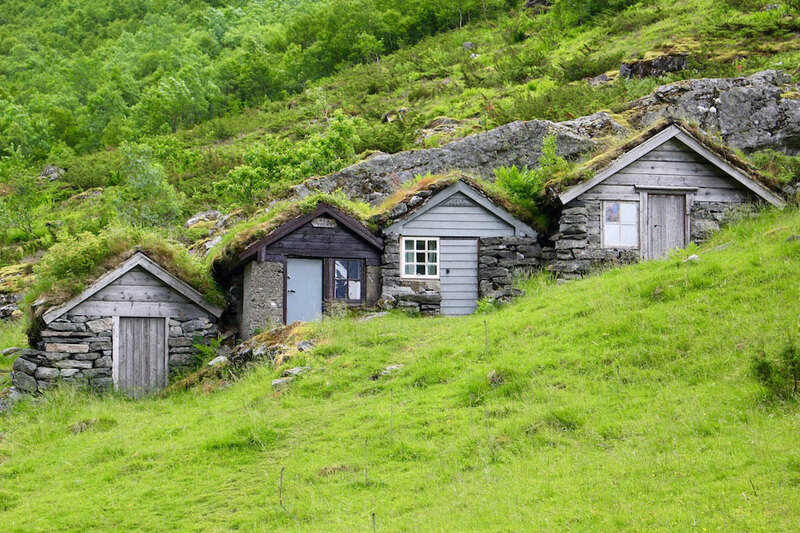 Our lollygagging over meadows and quaint grass-covered huts would result in a 2-hour delay. But was it really a delay? Or had the fates intervened and given us a chance to “stop and smell the scenery”? We had a ringside seat at the edge of Hjørundfjord, its cerulean waters surrounded by soaring peaks still dusted with snow in late June. Sæbø, our destination for the night, was visible in the distance on the opposite shore, and we would have daylight until almost midnight. What was the rush? We were seeking solitude and now we had it. We had a ringside seat at the edge of Hjørundfjord, its cerulean waters surrounded by soaring peaks still dusted with snow. The ensuing two hours passed almost too quickly. We settled into the rhythm of the fjord, watching the intermittent sun dance upon the water and the mountains until we were nearly hypnotized by it. There were no other cars the entire time; only one small motor boat putt-putted by, a languid wave from the “captain” revealing that he too was enjoying the solitude. The little shed housing rest room facilities turned out to be surprisingly nice—squeaky clean and modern inside, with a small waiting room attached that was probably toasty warm on a cold winter day. Then our little ferry arrived and we thought the spell had broken. But being geography geeks, we were intrigued with the concept of the floating portion of a national roadway, so we dutifully drove aboard. The 15-minute crossing was smooth, nearly silent, and provided even more views of the fjord at new and intriguing angles. The spell was still intact. Upon arriving in Sæbø, we checked into our hotel and were delighted to discover it sat at the water’s edge (as did just about everything in this no-stoplight village) and our room overlooked the fjord. We spent the evening strolling the pocket-sized waterfront, observing the fjord from yet more angles, made more dramatic as the extended Nordic summer twilight painted the scenery with faint pinks and purples. There were few people, and the only sound came from a squawking seagull mama when we ventured too close to her nest of speckled hatchlings on the beach. We had spent the past 10 hours doing little more than gazing at Hjørundfjord, which we had seemingly reserved for ourselves. 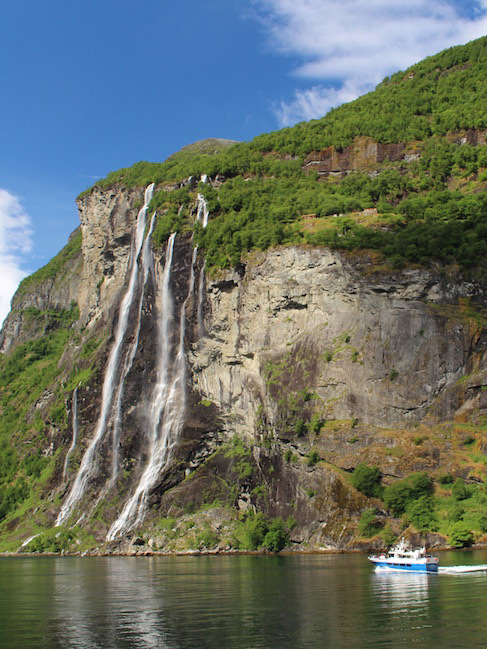 It became our own private fjord, our personal poster child for Norway. A simple, silent body of water. We were thoroughly enchanted. 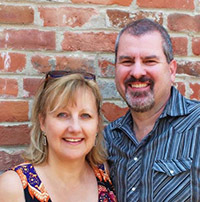 Larissa & Michael Milne are a 50-something couple who have been global nomads since 2011. 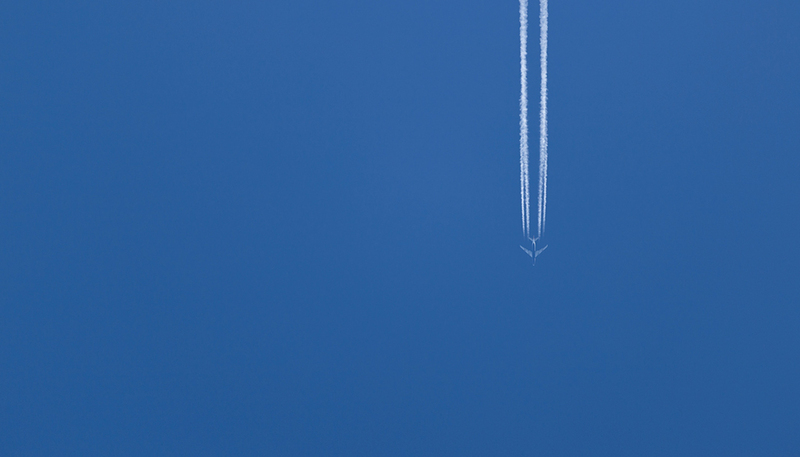 They write about their tasty, historic and quirky adventures on their blog Changes In Longitude. 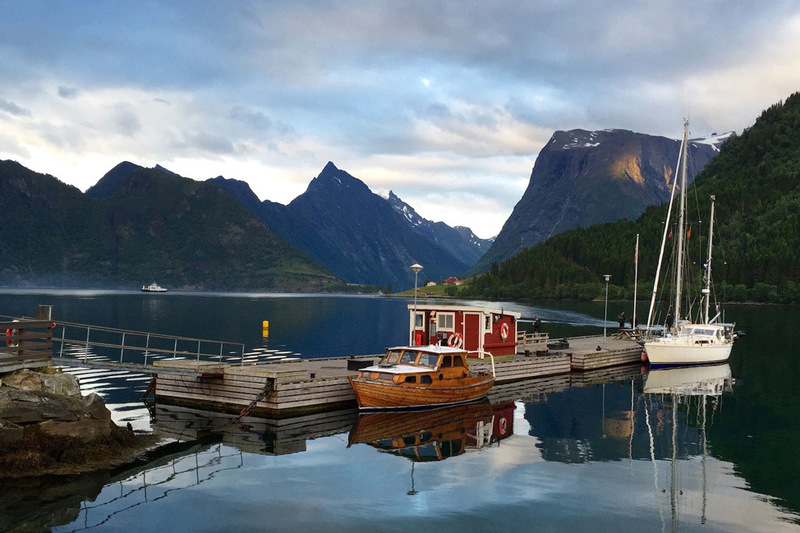 Like you Dalene, Norway has been on our to-do list for a long time. It just looks so beautiful and secluded. This was a great read from Larissa & Michael. It only made me want to go more. The pictures remind me of the Cabot Trail in Nova Scotia and the small fishing villages of Newfoundland. Beautiful. Wow, great write up and photos. We’re traveling for a year in Europe and planning to get up to Scandinavia this summer. We’ve been hesitant to rent cars b/c of the price but perhaps the chance for solitude can justify the expense. We are from Montana and the ferry crossing reminds me of several ferries across the Missouri river in that there’s a hut or two and that’s about it. Happy travels. The scenery there is just stunning! I can’t wait to see it myself someday. Lovely story and pictures – paints a great picture of what it’s like. We were researching a Norway road trip late last year for an undefined point in the future, and this has re-awoken that desire. Looks like a great trip!